Like every state in the union, Mississippi has thousands of vehicular roadway bridges. These bridges help safely move traffic over waterways, or as many engineers quip – they help safely move water from one side of the road to the other. Roadway bridge design takes into account several factors. Some of the major factors include cost, appearance, service life, anticipated loading, traffic volume, and span. Rural bridges, such as those on county roads, serve lower traffic volumes than highway bridges. However, during the last decade, rural bridges accounted for 80 percent of the bridges in the National Bridge inventory. These rural bridges are essential for residential traffic, movement of heavy trucks for agricultural and forestry crops and products, school busses, emergency vehicles, construction and farming equipment, etc. However, given the lower traffic volumes, these bridges must often serve for decades with minimal attention or maintenance as compared to higher profile (and higher budget) highway bridges. Maintenance responsibility for rural or county bridges falls primarily on state and county governments. Nationwide, county governments have maintenance responsibility for over 50 percent of these rural bridges, while state governments maintain 42 percent. Most county officials have more road and bridge needs than financial resources with which to address them. Mississippi is no exception. Therefore, officials continually prioritize the timing of repair, replacement, and upgrading and seek to stretch bridge-related budgets as far as possible. Similar to the hiring of employees, the best bridge solutions are usually available quickly, are cost effective, have minimal down time, and provide a long career of service. Because every ditch, stream, creek, canal, river, or other water crossing is different, there is no single bridge solution for every possible roadway situation. Bridge related professionals, from county supervisors to engineers and from designers to contractors need options to repair and renovate existing bridges, to repair and replace as needed, and to upgrade for higher traffic volumes and vehicular weights as society grows. During the late 1970s and 1980s, pressure treated timber received increasing attention by structural engineers and county-based decisions makers. The modern timber bridge is the focus of a national initiative funded by Congress through the USDA Forest Service. The National Timber Bridge Initiative has provided funding for research, information about modern timber bridges, and construction of demonstration timber bridges throughout the United States. One such demonstration is in Tallahatchie County and another is in Oktibbeha County.  In these cases, the Mississippi State University Extension Service, the USDA Forest Service, and the two counties cooperated to fund and install modern timber demonstration bridges in Mississippi. These demonstrations provide engineers, government officials, and others a tangible example of timber bridge technology. Bridges made of pressure treated timber are not new, but the used of treated timber in engineered, prefabricated bridge components is. Pressure treated timber, such as that from local southern pine, is resistant to decay, termites, and other forms of biological deterioration. Researchers have developed and put forth innovative, cost-effective applications for treated timber in small-bridge construction (20- to 60-foot spans). These designs include solid sawn lumber and engineered timber products such as glulam, laminated veneer lumber, and others in the construction of factory-made timber bridge components manufactured and shipped to the bridge site for installation. With modern pressure treatment and preservatives, timber bridges are expected to last 50 years or longer. Many timber railroad bridges built in Mississippi during the 1920s, nearly 100 years ago, remain in service and structurally sound. Local crews can construct modern timber bridges using heavy equipment (such as backhoes and excavators) that is generally locally available. Timber bridges are easily repaired, upgraded, or modified. Because modern timber bridges are factory-made, the quality control is enhanced and the need for field rework during assembly and construction is minimized. Also, because the timber elements are cut and drilled before being pressure treated, the components are highly durable. Wood is lighter than most other bridge materials, which means lighter construction equipment can be used for installation and there is often less site preparation work required. Lighter bridge weights can often allow the use of existing foundations. These factors lead to faster less-costly construction. Modern timber bridges can be an economical alternative. Bridge costs vary and are site specific but the construction characteristics of timber, coupled with modern timber bridge performance, can make these bridges a competitive option for county road type bridge construction. As with housing, if the structure can be built out of sawn wood then that is almost always the lowest cost solution which is critically important for mortgage-holding homeowners. In the case of bridges, taxpayer- or bond-funded capital expenditures are similarly cost sensitive. Timber bridges are relatively simple and feature the warmth and beauty of wood. They blend well into the natural environment. They are well suited to rural or town settings. Timber is a major renewable resource with respect to Mississippi’s economy. Individual timbers in these designs are fastened together by glue, steel dowels, spikes, bolts, and/or stressing rods (depending on design). The timbers are fastened securely such that individual deck components can share the load. This load-sharing provides a significant improvement in strength, stiffness, and cost over historic stick-built timber bridges. Once pressure treated, timber components and subassemblies are shipped by truck to the bridge site. Most modern timber bridge deck or stringer systems can be installed on timber, steel, or concrete foundations or pile caps, whichever is most suitable. Nearly 30 years ago, in the summer of 1990, Tallahatchie County (northwest Mississippi) was selected for a modern timber bridge demonstration. The bridge is on William Adams Road, off Highway 32 about 6 miles from Charleston, the county seat. The bridge crosses Tillatoba Creek and lies on a paved road. The previous bridge was an old nailed-timber deck on a timber pile foundation. The dowel-laminated deck has 15 prefabricated deck panels about 5 feet wide, 10 or 18 feet long, and 10 or 12 inches deep – depending on their span. Deck panels are joined by shiplap joints secured with galvanized spikes. Wheeler consolidated Inc. of St. Louis Park, Minnesota, furnished the bridge deck, and local Tallahatchie County crews and equipment completed the foundation and installation. A local contractor performed the pile-driving for the foundation. The old bridge was removed and the new, modern timber bridge was installed in 5 days. This short duration outage was welcome by county supervisors that had a strong commitment to minimizing road closure. Another demonstration timber bridge is on Old West Point Road, in Oktibbeha County, approximately 3 miles outside of Starkville. That bridge is of a slightly different design, with stringers and a timber deck. It too is on a paved surface road. It too has been in service for approximately 30 years. In each of these cases, the fact that the bridges are timber is not immediately obvious as they blend well into the natural surroundings. Location: William Adams Road off Highway 32 about 6 miles east of Charleston, Mississippi. Design: Wheeler Consolidated Inc. dowel-laminated, longitudinal deck of Southern pine. Timber pile and cap foundation. HS-20 loading. Three spans (two 10-foot spans and one 18-foot span). Dowel-laminated construction isn’t the only type of modern timber bride design. Another option is the stress-laminated timber bridge. This design type used pressure treated structural lumber held together by the force of transverse tension stress rods that pass through the deck at repeating 2- to 4-foot intervals. Stress lamination holds the individual wood members together, distributes the load efficiently among wood members, and facilitates the use of shorter wood pieces. Glue laminated timber, also known as “glulam” is another wood product used in modern timber bridges. Glulam consists of stress-rated, structural lumber that is glued together by machine to form beams or deck panels. Glulam components are factory-made to precisely engineered specifications and then pressure treated with preservatives before being shipped to the job site. Glulam production is certified by the American Institute of Timber Construction, which has a glulam bridge manual available (see Additional Reading). The potential for the modern timber bridge has created interest among engineers and local officials throughout the United States. Modern timber bridges are readily available, relatively easy to design and fabricate, practical, and cost effective alternatives for small roadway bridge construction as well as in certain types of highway bridge situations. State highway departments in many states have programs to specify modern timber bridges in appropriate highway situations. Researchers at the Colorado State University, Iowa State University, Mississippi State University, University of Nebraska, Pennsylvania State University, West Virginia University, University of Wisconsin, and elsewhere are continuing to refine and expand the modern timber bridge concept. The manufacture of modern timber bridges in Mississippi can stimulate jobs, provide markets for local resources, and – most importantly – provide a meaningful option toward addressing an ongoing statewide infrastructure issue. Where highly functional, cost effective, long-lasting bridge solutions are needed, timber should be considered. Modern timber bridge construction offers opportunities in rural development, employment, improved transportation and safety, and timber utilization. With contemporary technology in the use of wood’s structural capacity and pressure treatment options, modern timber bridges can provide effective solutions to rural transportation problems. American Institute of Timber Construction. 1989. Glulam Bridge Systems. Vancouver, WA. p. 32. Behr, R.A. et al. 1990. Cost Comparison of Timber, Steel, and Prestressed Concrete Bridges. ASCE Journal of Structural Engineering, 116(12): 3448–3457. Brungraber, R. et al. 1989. Timber Bridges: Part of the Solution for Rural America. Transportation Research Record 1106. Transportation Research Board, National Research Council, Washington, DC. pp. 131–139. Grove, B. 1989. Timber Bridges: An Alternative to Concrete and Steel. Northern Logger and Timber Processor. pp. 22–25. Olivia, M.G. et al. 1990. Stress-Laminated Wood Bridge Decks: Experimental and Analytical Evaluations. USDA Forest Service, Forest Products Laboratory. Research Paper FPL-495. p. 24. Timber Bridges. 1986. Transportation Research Record 1053. Transportation Research Board, National Research Council, Washington, DC. Julia Withers, editor. p. 79. Wood Design Focus. 1990. Vol. 1, No. 3, Wood Products Information Center. Portland, OR. p. 23. Revised by Rubin Shmulsky, Ph.D., Professor and Head, FWRC Sustainable Bioproducts, from an earlier version by Dr. Bob Daniels, retired Extension Professor.